This is the first posting of the new "Clients 1st Bulletin Board". 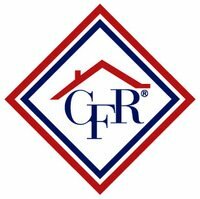 This tool will be used to communicate information about listings, open houses, educational events and classes, general company related topics, Q & A that will be beneficial to everyone with CFR, comments, and pro active exchanges between all CFR personnel. This is just one of the many tools that you will find, that will create a avenue of communication and involvement for and from the members of CFR. It is my desire and goal, that you become familiar with this bulletin board and use it in a positive manner, to draw desired results and exchanges from all of CFR's personnel. There will be a link places on the Corporate website, under "RESOURCES", plus a link will be e-Mailed to you from time to time, allowing you to view and comment on different topics, as well as to create new postings of your own, that you feel would be a benefit to everyone. Again, Thank You, for being part of CFR and have a GREAT Day.